Craving refreshing lemony flavors? Even out of season, you can awaken your palate with a collection of aromatic, citrus-forward foliage. These stunners are easy to grow and elegant when planted in containers. Place all the ingredients into bowl of food processor and pulse until well combined. Store in a sealed container in the refrigerator for up to two weeks. 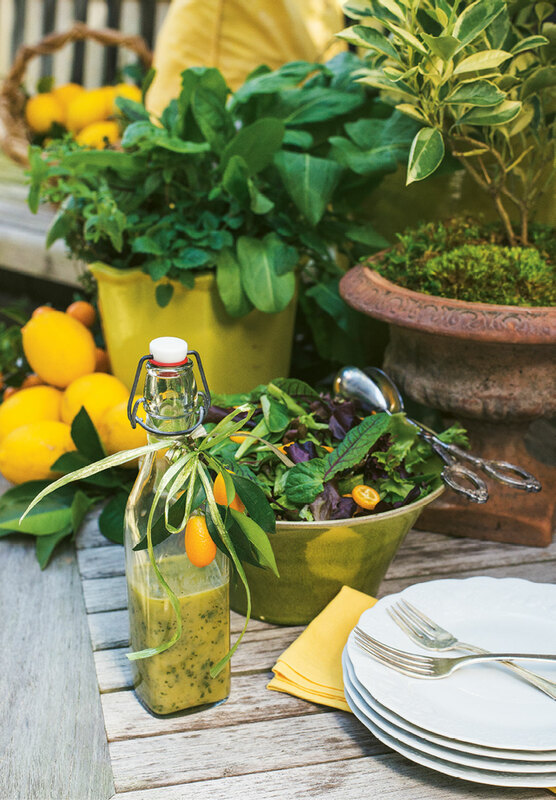 Serving suggestion: Add fresh sorrel leaves and sliced kumquats directly to the salad to brighten citrus flavor. A staple in French cuisine, the bouquet garni can also serve as inspiration for a cook’s favorite garden container. 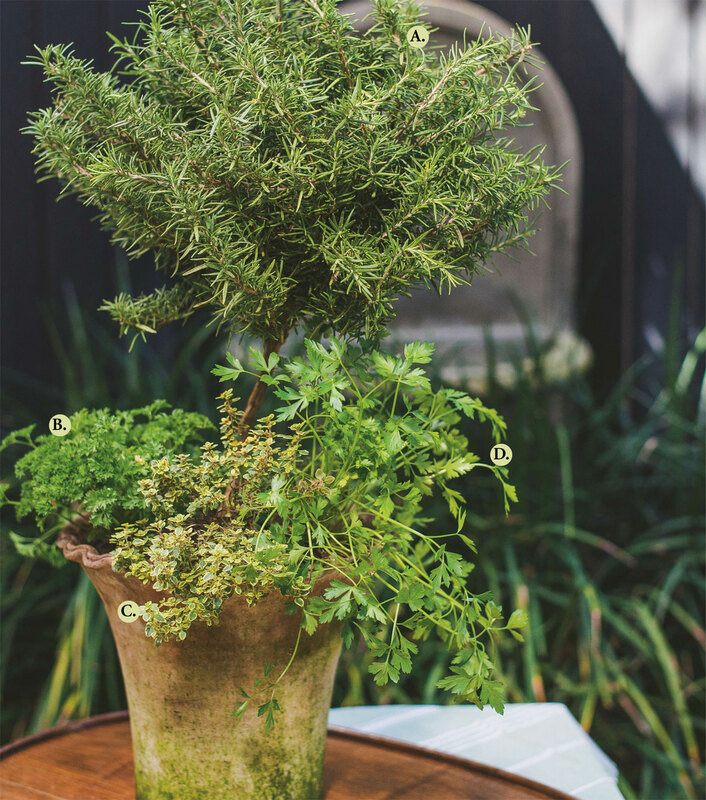 Center this full-sun arrangement with a rosemary topiary, then underplant with the remaining herbs. When you need to add flavor to your soup or stock, a fragrant bouquet is just a snip away. 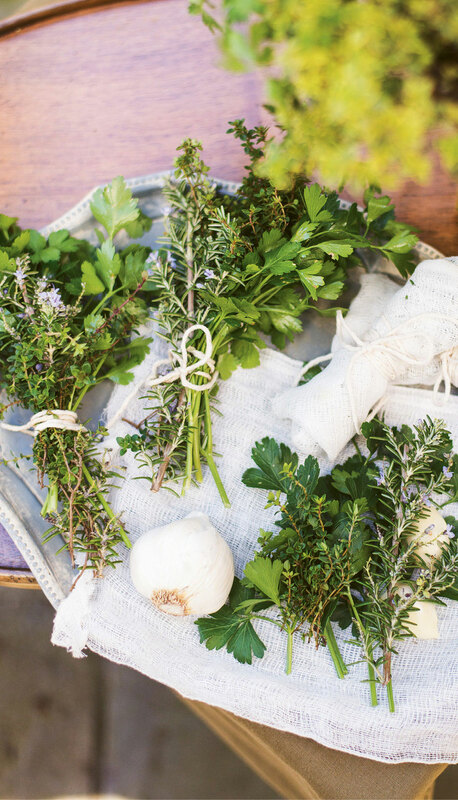 The classic bouquet garni includes bay leaf, parsley, and thyme. Try your hand at this combination, or substitute various herbs, such as basil, chervil, garlic, and tarragon. ❶ Harvest herbs, such as rosemary, thyme, and parsley. As a general rule, it is fine to snip up to one-third of the plant’s overall size at a time. ❷ Unroll a layer of cheesecloth and place herbs in cloth. ❸ Fold cloth around herbs and secure with kitchen string. Note: Cut the string length according to the size of your stockpot and tie to the pot handle for easy retrieval. This lovely table centerpiece, containing the main ingredients for a fresh herbal infusion, is a feast for the senses. And making a potful is as easy as snip, steep, and sip. ❶ Snip. Harvest the herbs in the morning when they will be most flavorful. One large handful of fresh herbs will make two cups of tea. 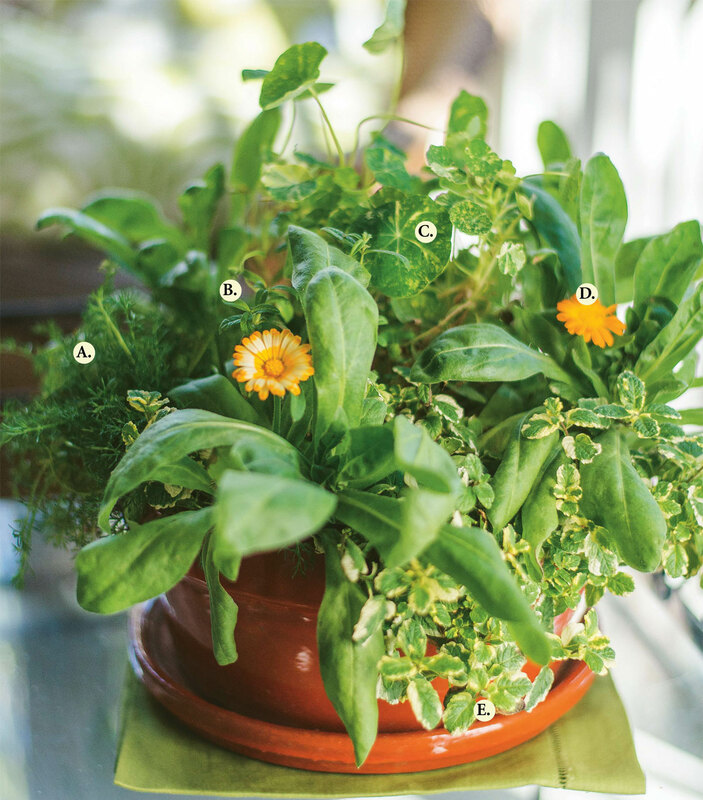 To get started, try one-half handful each of mint and lemon verbena, three chamomile flowers, and one calendula flower. ❷ Steep. Bring a pot of water to boil, then reduce heat. 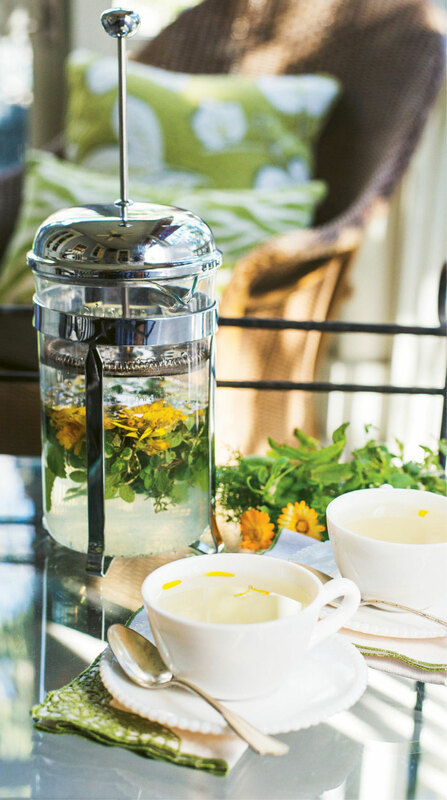 Place herbs in a French press and fill with hot water. Let the herbs steep for 10 minutes. ❹ Harvest too much? There are many tools available to make the collecting and storage of herbs easier. For example, Herb Keepers will store your cuttings in the refrigerator in anti-bacterial glass to extend life up to two weeks.